China´s urbanites are expected to growth with a few hundred million over the coming yers. 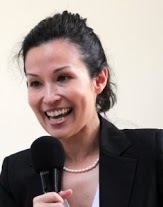 But can cities grow in a sustainable way, wonders urbanization expert Sara Hsu in The Diplomat. The is both room for doubt and for hope, she writes. The plan outline looks good, but the devil, as always, is in the details. Will the environment really be protected? Will increased urbanization lead to a larger carbon footprint for the newly urbanized residents, particularly since one goal of urbanization is to increase domestic consumption? Will local governments protect farmers’ land rights when they often have not in the past? Will there be sufficient provision of services, such as a waste and water management when these services already fall short in many regions? The promises of the plan, coupled with inability to support these same policies in many regions, gives rise to doubt over whether the urbanization plan can indeed be implemented in a sustainable way. Further, China’s urbanization process is already underway. This has taken place in several different ways, through constructing residences on the outskirts of large cities, through building up small and medium sized cities, and through construction of new cities. Some difficulties have been encountered, in terms of attracting people to new cities and resulting in existence of “ghost towns,” or in attracting sufficient industry and employment to newly populated areas, as in Shaanxi province, where rural residents resettled in urban areas have found themselves jobless. Although the Shaanxi urbanization process has resulted in part in the creation of ecological farmland towns, it is still too soon to tell whether the impacts of urbanization will be altogether environmentally sustainable. China faces a difficult task in increasing urbanization—essentially, some analysts view China as under-urbanized, in comparison to Western nations, while others view China as over-urbanized in its struggle to care for its vast urban population. How can these two views be compromised? Given an increase in urbanization, will the country indeed be able to implement sustainable development, as it claims it will but heretofore has been unable to achieve? Based on past performance, the likelihood of China’s urbanization process falling into the sustainable category is low, but hopes are high. We hope to be pleasantly surprised.